The New and Used Audi Parts Specialist for all Audi models worldwide. Audi Part Number: Unknown. It may fit others. Donor Car Colour: Bodywork is Silver LY7W. Interior trim is Moccasin Red JS. The New and Used Audi Parts Specialist for all Audi models worldwide. Audi Part Number: Unknown. It may fit others. Donor Car Colour: Bodywork is Green LZ6W. Interior trim is Green JR. Fits: Audi TT mk1 1998-2006 225. Facelift full alloy spec. Car: Audi TT 225 Quattro 2002. All we ask is that you give us a chance to resolve it this way first as it draws a much quicker close to the matter which is always good. Manufacture Part Number 8J0711113KXBM. Type Gearsticks & Gear Knobs. Donor Car: 2007 Audi TT 8J Coupe 2000cc. The New and Used Audi Parts Specialist for all Audi models worldwide. It may fit others. 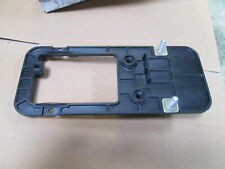 Audi Part Number: 8J0 863 876. Donor Car Colour: Bodywork is LY7E Condor Grey. IT IS THE AUTOMATIC GEAR SHIFT LEVER MOUNTING BRACKET. OEM: 5J0711113F. Roomster 2006-2010. Fabia II 2007-2010. Gear knob and gaiter, 5 speed. Step2 Place the new knob over the shifter and fasten the correct nut. Step1 Remove the original factory gear knob from shifter. Universal 15cm Bubble Styling Crystal Manual Shift Gear Knob Blue White Red. Part Number: 8S1713139 / 8S1712463. Color: black / soul IBR. Audi TT TTS 8S S Tronic gear knob. VIN / FIN: -. Complete match also the final part number! Audi A5 8F. Audi A6 C6 4F. Audi A6 C7 4 G. Audi TT 8J. Audi TT 8S. not For vehicles with reverse gear (RGA) or automatic transmission! Leather in the sports hole leather design. -Leather in the sports hole leather design. Certoplast car tape tape tape 15 mm 50 m for VW AUDI BMW MBEUR 7.65. 20-PIN distributor adapter cable wiring harness plug & play for VW Audi seat factory radiosEUR 7.95. Only for the Audi. Original Audi SMD LED number plate lights indicator lights 8 p bulb SETEUR 39.85. Audi TTS 8S. 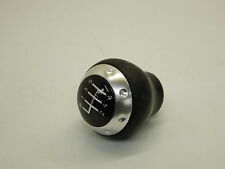 Part number: 8 S 1 713 139 A. Leather shift knob. Function: perfectly. In jedem Audi ein echter Blickfang. - Original Audi = 100% quality. Bumper protection. Bumper bar. Bumper protection film. Bumper rubber. Windshield wiper. Rear wiper set. Wheels: Aluminium. Colour of the vehicle Blue LY5Q. Mirrors: Electrically foldable Lapp bar. Transmission Code. Air bag systems Explosives Act § 20 we have permission for the handling of airbag systems and safety belts. Original Audi SMD LED number plate lights indicator lights 8 p bulb SETEUR 39.85. Original of the Audi 100% quality =. -Audi 100% original and not a reproduction! Certoplast car tape tape tape 15 mm 50 m for VW AUDI BMW MBEUR 7.65. Audi A6 4B C5. AUDI TT 8N. not For vehicles with reverse gear (RGA) or automatic transmission! 1 month right of withdrawal. Leather in the sports hole leather design. -Leather in the sports hole leather design. Not For vehicles with reverse gear (RGA) or automatic transmission! Leather in the sports hole leather design. -Leather in the sports hole leather design. 1 month right of withdrawal. PREMIUM faux leather seat cover seat covers seat covers car covers black action34,85 EUR. 20-PIN distributor adapter cable wiring harness plug & play for VW Audi seat factory radiosEUR 7.95. Certoplast car tape tape tape 15 mm 50 m for VW AUDI BMW MBEUR 7.65. Original Audi SMD LED number plate lights indicator lights 8 p bulb SETEUR 39.85. Premium loading edges protection foil scratch protection carbon black for many vehiclesEUR 7.85. Certoplast car tape tape tape 15 mm 50 m for VW AUDI BMW MBEUR 7.65. Original Audi SMD LED number plate lights indicator lights 8 p bulb SETEUR 39.85. Audi A6 C6 4F. Audi A6 C7 4 G. Audi TT 8J. Audi TT 8S. not For vehicles with reverse gear (RGA) or automatic transmission! Leather in the sports hole leather design. -Leather in the sports hole leather design. Certoplast car tape tape tape 15 mm 50 m for VW AUDI BMW MBEUR 7.65. 20-PIN distributor adapter cable wiring harness plug & play for VW Audi seat factory radiosEUR 7.95. Original Audi SMD LED number plate lights indicator lights 8 p bulb SETEUR 39.85. Gear Stick Shift Knob Length:15cm. 1x Bubble Gear Stick Shift Knob. Universal fit for most vehicles. Material:Laser Cut Acrylic Plastic. laser etched into center. We will try our best to reduce the risk of the custom duties. Audi A5 8T. Audi A5 8F. Audi A6 C6 4F. Audi A6 C7 4 G. Audi TT 8J. Audi TT 8S. not For vehicles with reverse gear (RGA) or automatic transmission! 1 month right of withdrawal. Original Areon scented tree air freshener fragrance Tin car fragrance huge free selectionEUR 1.27 1.49. 20-PIN distributor adapter cable wiring harness plug & play for VW Audi seat factory radiosEUR 7.95. Audi A6 4F (C6) from 2004-2011. Audi A6 4 G (C7) from 2011. Audi TT 8N from 1998-2006. Audi TT II 8J 2006-2014. Audi TT III from 2014-. Audi Q3 from 2011. Audi Q2 from 2016-. Steering column switch. Universal Auto 7 Star Dragon Ball 54mm Gear Shift Knob M12x1.25/M10x1.25/M10x1.5/M8x1.25. Pattern: 7 Stars ,Red Color Stars With Original Color Dragon Ball,The Stars Are Floating Inside The Ball, Not On the Surface! Put the gear knob right above the shifter, choose the right size of adapter, and fasten it. -Remove (twist, unscrew) your original factory gear knob from shifter. -Made of High Quality Weighted Aluminum for Enhancing Strength, Durability and Shifting Speed. Universal Car Seat Seam Wedge Cup Drink Holder Seat Wedge Cup Holder Mount 1x. Car Interior Air Outlet Armrest Box Dashboard Dust Hairs Green Cleaning Gel Glue. 2.5m Black Car Front Bumper Spoiler Lip Kit Splitter Valance Chin Protector Kits. Donor Car: 1999 Audi TT 8N Coupe 1800cc. The New and Used Audi Parts Specialist for all Audi models worldwide. Audi Part Number: Unknown. It may fit others. Donor Car Colour: Bodywork is Silver LY7W. Donor Car: 2001 Audi TT Coupe 1800cc Quattro Sport. The New and Used Audi Parts Specialist for all Audi models worldwide. Audi Part Number: Unknown. It may fit others. Donor Car Colour: Bodywork is Silver LY7W. Donor Car: 2001 Audi TT 8N 1800cc Quattro. The New and Used Audi Parts Specialist for all Audi models worldwide. Audi Part Number: Unknown. It may fit others. Donor Car Colour: Bodywork is Blue LZ5W.